Well, not quite, but you get the point, don’t you? This is the first update since our beta launch back in September, and it is big. New features; bug fixes; design changes; performance tweaks; what’s in the name? They all have one thing in common. They make TeamWave better. Here are the top ten reasons why you’ll love this update. Any file associated with a deal in CRM can now be linked to a project as well, for cross-referencing. We believe that files are the common ground for both modules, and this will pave way for deeper integration. 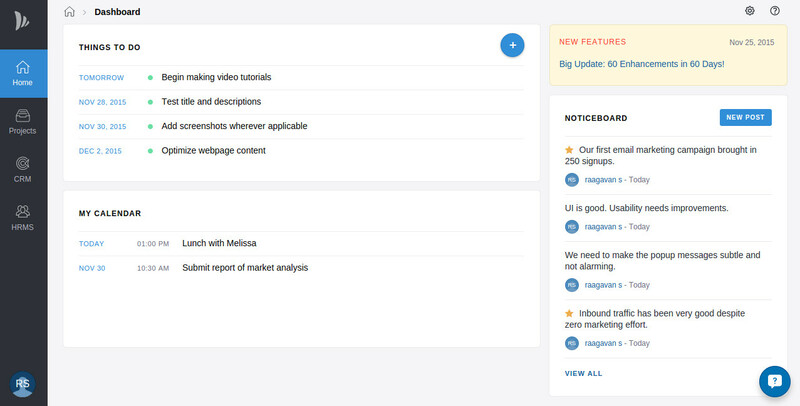 For time-sensitive updates that you need to know as and when they happen, look no further than your dashboard. The gist of critical happenings on CRM and Projects will be accessible from the account dashboard. Too long you’ve had to add contacts one by one. No longer. With Google Contacts Sync and file import option (.csv, .xls, .xlsx), you can import chunks of contacts in no time. 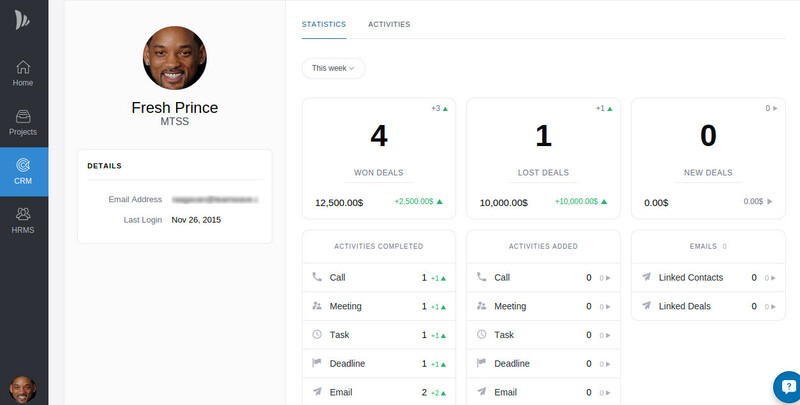 For a start, you can add contacts to your CRM module right from your mailbox. All you need to do is send an email to your CRM. This also makes it easier to create a deal out of the forwarded email. 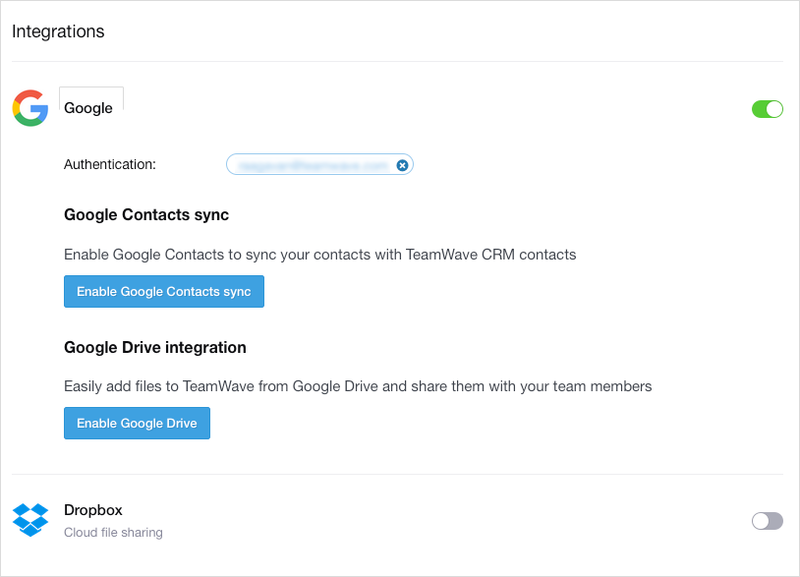 The two most popular file storage services are now integrated with TeamWave. That means no more redundant uploads. 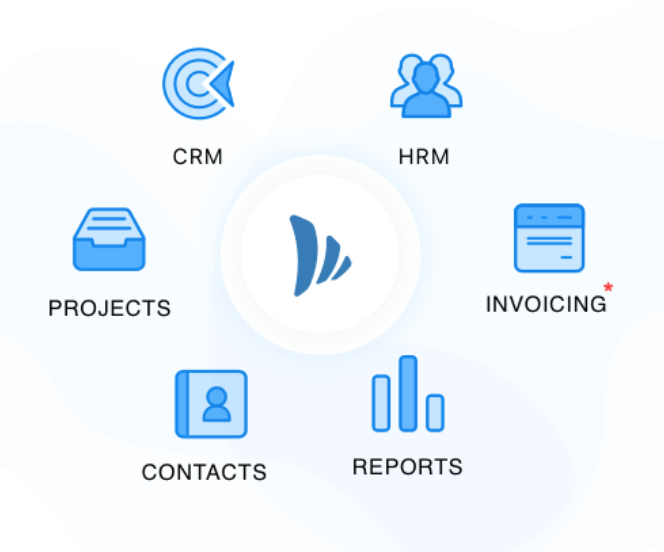 You can link your files on these services, to any task or discussion on TeamWave and collaborate with members of your team. Frankly, there is nothing anyone can do about the ever-growing list. But the way you see it is up to us. That is why we’ve added three new views; completed task view for every project, tasks from all projects and a progress page. If many of your projects have the same levels of discretion, participants and tasks, you can now replicate a project and make only the few necessary changes to it rather than creating each one from scratch. Just as in CRM, you can add tasks and start discussions just by forwarding an email to a unique project ID. These emails can be associated as references to tasks and can be referred by any participant. The full-fledged profile of employees, including reporting hierarchy, is our first step towards an all-wise HRMS. Though it all begins here, we have executed this keeping in mind the bigger things to happen next. Time logging, on-boarding and leave management for instance. ← The “killer” feature that every small business needs!